June 23, 2015 — In 1983, Scott Philbrick was 19 years old and starting to get interested in photography. That autumn, he got the opportunity to travel from his home in New Hampshire to the Rensselaer Polytechnic Institute in Troy, New York, to help his mentor—the late Michael Glynn—set up a photography show there. 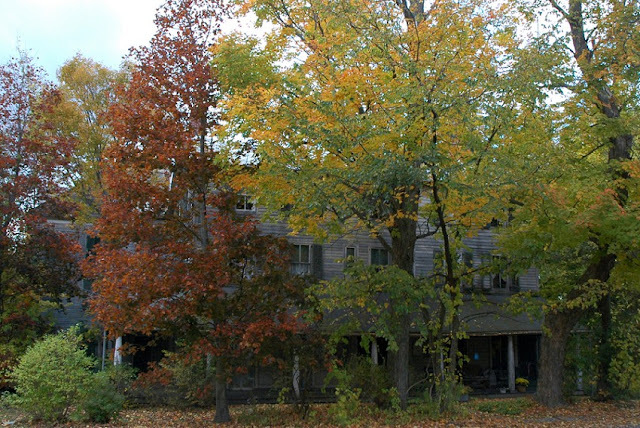 Along the way, they passed an inn in Bennington, Vermont, and took a few shots, for no other reason than that it seemed striking. It was a brief stop, and Philbrick quickly forgot ever setting foot in Robert Frost’s death town. Until this past Father’s Day, when his son Samuel had a few rolls of Philbrick’s unlabeled negatives digitized as a surprise. In those images, Philbrick found two photos of a large, worn-looking building bearing a sign on the front that designated it the Walloomsac Inn. Or at least the WaXXoomsac Inn, thanks to a tree trunk in the front yard that obscured part of the sign. 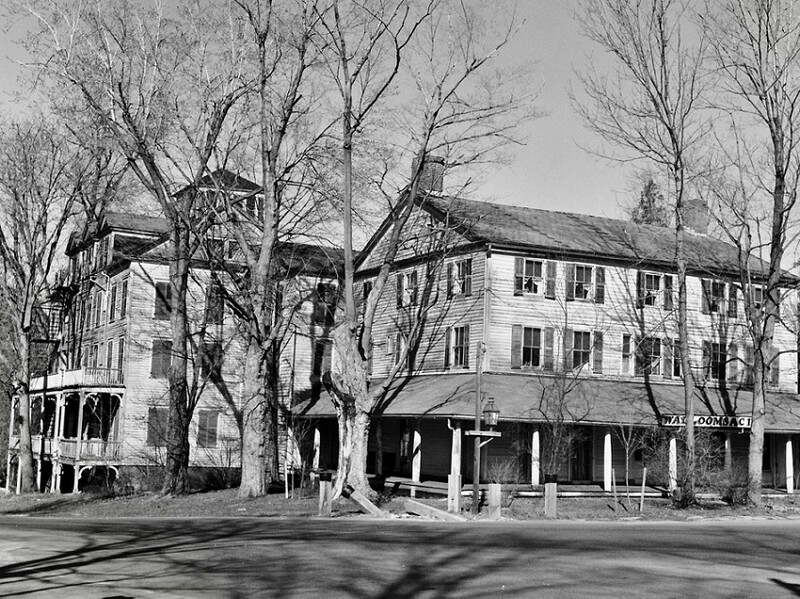 Curious, he Googled what he could see of the name and found the images of the anonymous, decrepit pile of haunted gray timber that the inn is today. 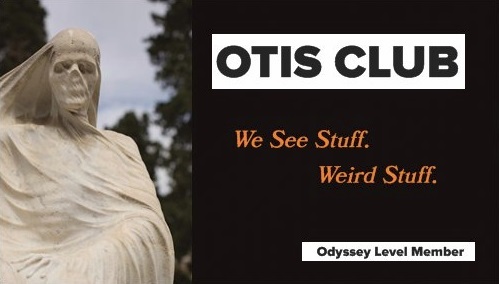 And they were OTIS images, from a 2012 post about my 2009 visit. 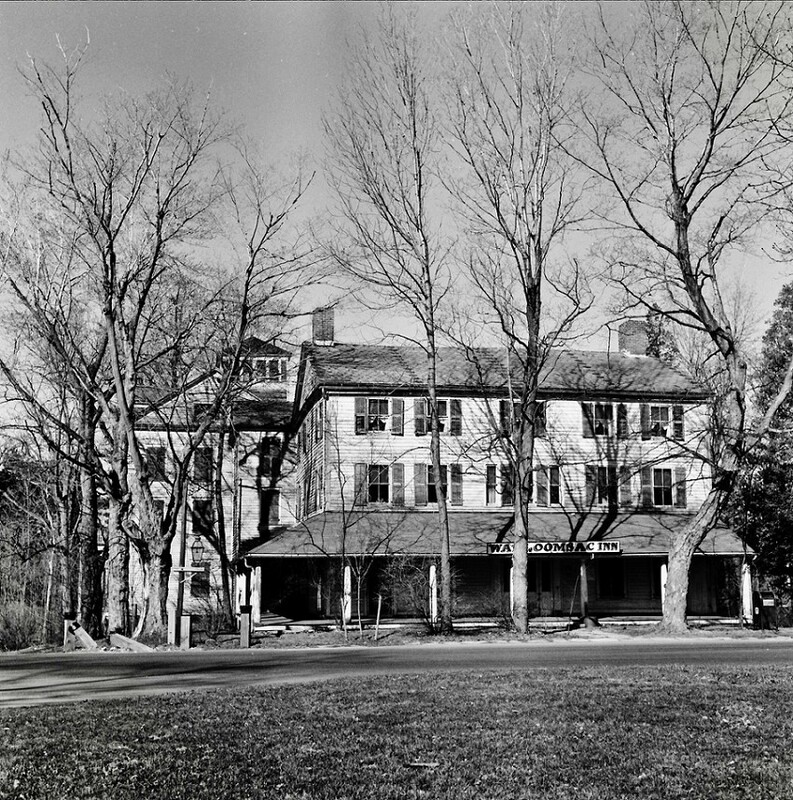 So Philbrick sent his 1983 Wallomsac Inn photos to me, knowing I would dig them. And I do. 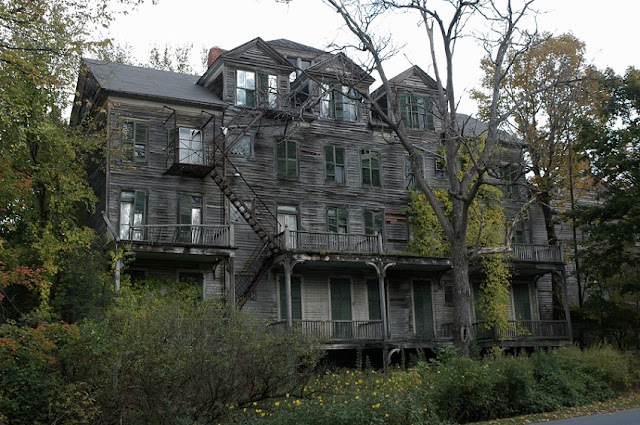 I mean, that’s the fabled Walloomsac Inn three decades ago, looking not at all like the ancestral home of elegant cannibals or however I categorized it in that post. 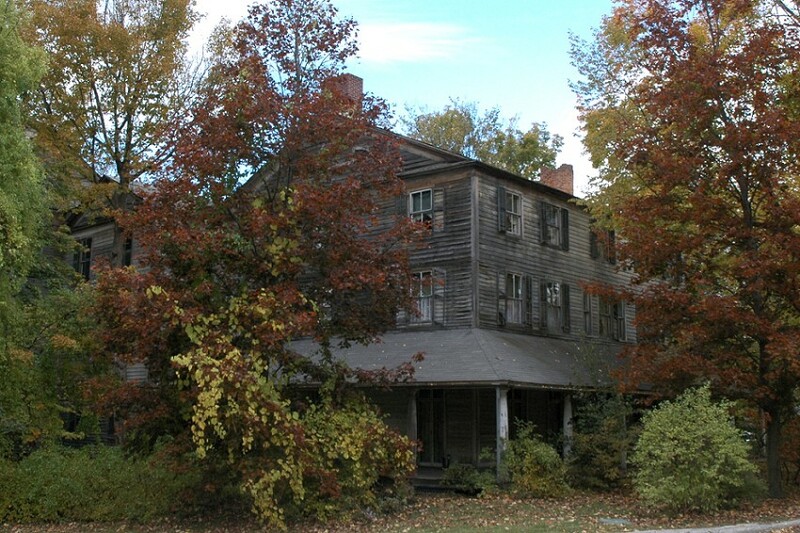 For whatever reason, that Walloomsac Inn post is one of the more popular ones on OTIS. Actually, for obvious reasons. The place looks like history and tragedy and mystery incarnate. And seeing how it appeared in 1983 just adds to all three. So, thanks, Samuel, for preserving your father’s work and thanks, Scott, for sending these along. And here’s to whoever takes photos of the place in 30 more years.